Genome editing enables researchers to build customized cellular models for nearly any gene target, but not without challenges. Merck KGaA, Darmstadt, Germany has developed methods to overcome these challenges and enhance cell line engineering capabilities. Gene editing has become a firmly established technology within the discovery sciences arena. With the advent of CRISPR/Cas9 systems, the researcher's ability to find an active nuclease for nearly any region of any genome is now a reality. Even with better nucleases available, those who routinely utilize gene editing tools to manipulate cell lines encounter other significant challenges that pose a barrier to building the "correct" cell line model. As a well-established partner for custom cell line engineering, we at Merck KGaA, Darmstadt, Germany have encountered many of these challenges and have developed and/or implemented a number of methods to circumvent them. A summary of the various formats of CRISPR/Cas9 tools, and recommendations for when to use each will also be presented. Mark obtained his Ph.D. in Biochemistry and Molecular Biology from Saint Louis University School of Medicine, where he used RNAi in Drosophila models to elucidate developmental and biochemical roles for RNA polymerase II-associated transcription factors. Following graduate school, he was a Postdoctoral Fellow at Washington University in St. Louis, where he investigated signaling pathways involved in the development of human meningioma. Mark joined MilliporeSigma* in 2006, and he has worked in the areas of biotherapeutic production, stem cell applications, and gene regulation. He currently supervises the Cell Design Studio team, which performs custom cell line engineering for research and pharma markets using ZFN and CRISPR technologies. * The life science business of Merck KGaA, Darmstadt, Germany operates as MilliporeSigma in the U.S. and Canada. 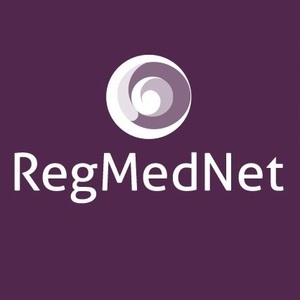 For a full list of webinars available on RegMedNet click here. Q&A follow-up: Why are we still using FBS in our processes?